Biznext India : Government of India owned Hindustan Copper (HCL)’s Ghatsila unit on Saturday broke the ground for construction of concentrator plant at Rakha, initiating Chapri-Sidheswar mine, a new mine development and Rakha mine re-opening projects. CMD informed that considering the opportunity to further increase the resource base of copper mineral in the State has finalized plan to undertake depth exploration up to 1000 meter from the surface in its existing lease area in next two years. 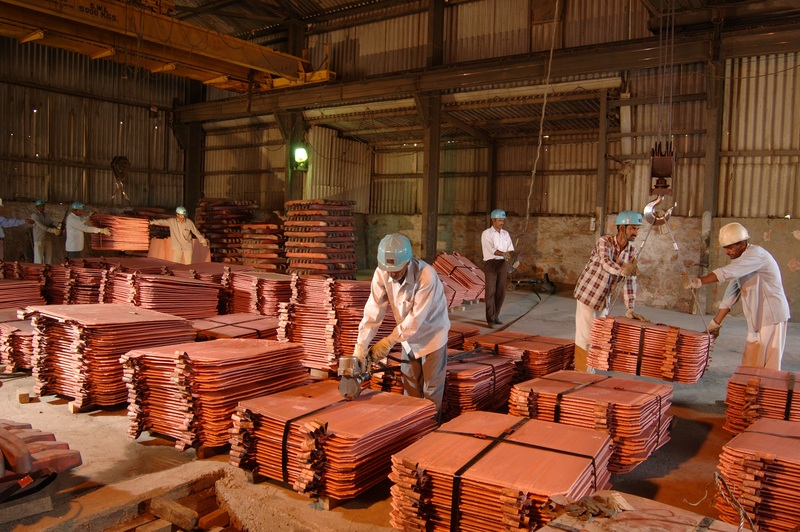 Hindustan Copper Limited, the only copper mining Company in India, in its Unit located at Ghatsila has planned to implement total five mine expansion projects to increase the mine capacity form current 4.0 to 72.0 lakh tonne. Successful implementation of the project will also reduce country’s dependence on imported copper concentrate.